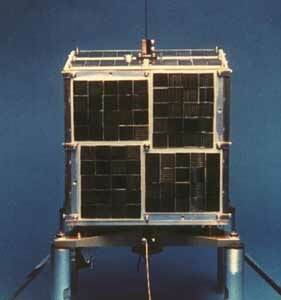 Co-ordinated by AMSAT Argentina, the LUSAT (named after the LU amateur designation for Argentina) microsatellite was launched on the first ARIANE ASAP flight V35 with SPOT 2, on the 22 January 1990 (01:35:27 GMT) into an 780 km sun-synchronous, 98 degree inclined orbit. It carries Digital Store and Forward packet communications transponder similar to AO-16. Uplink frequencies are 145.84, 145.86, 145.88, and 145.90 MHz FM 1200 bps Manchester FSK. Downlink frequency and protocol is AX.25 at 437.125 MHz SSB 1200 bps RC-BPSK. It is box shaped with dimensions of 213 × 230 × 230 mm, with four solar panels and weighs 13.76 kg.